Maddie is a fancy, athletic 10 year old, bay Trakehner mare with a deep pedigree. Standing at 16.2 hh she is a powerful jumper and exceptional mover regularly scoring in the 20’s in the Dressage. Madeline is very easy to ride, has a wonderful personality and is very brave. 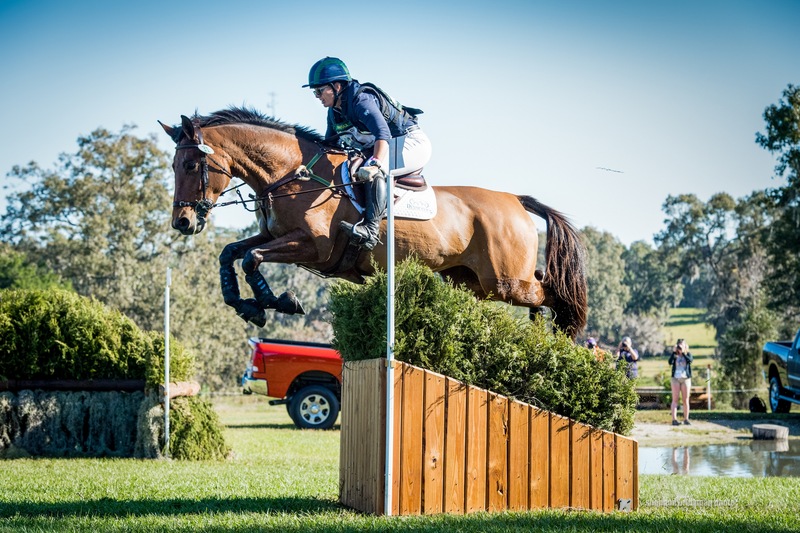 Has competed successfully at the CCI 1* level and recently placed 2nd at Chattahoochee Hills Training and 7th at Ocala Training. 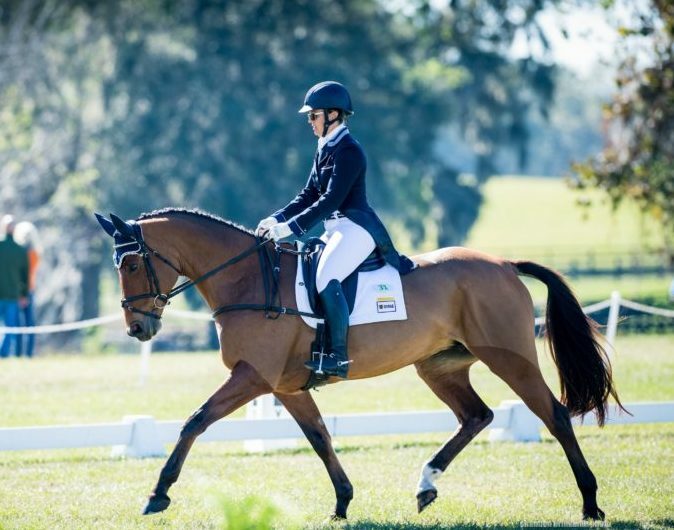 Blyth’s Madeline GS is a perfect partner for a Young Rider or Adult Amateur. Maddie’s sire is Heling of Galten Farms, owned by the Schickedanz family, who were founding members of the American Trakehner Association. Many Galten offspring have become Olympic, World Cup, World Championship, and Pan American games medalists. The late HELING is one of the top stallions in the Trakehner Verband. He was the # 1 living producer of overall gaits (combined walk/trot/canter) and the # 1 producer of the walk. With an overall score of 142 points for total breed value, he is placed in the top 10 of all of Germany. 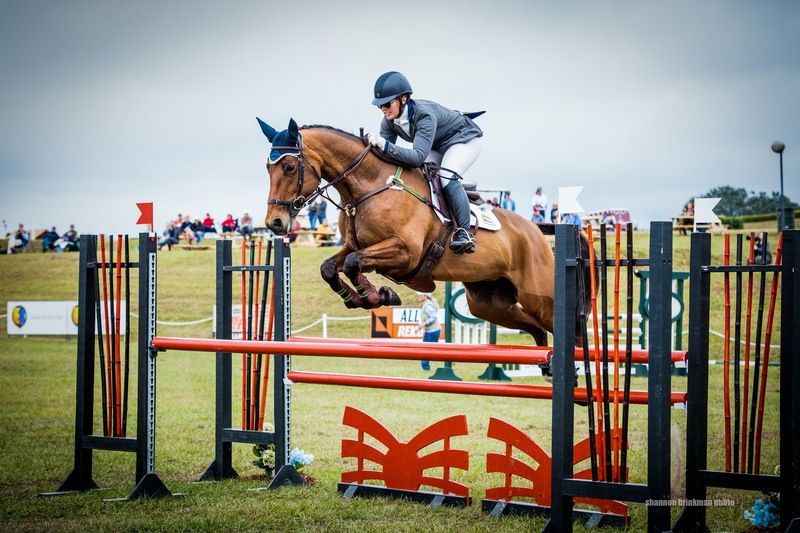 He is a son of the international 3-Day Event horse BUKEPHALOS, who was fourth at the German national 3-Day Event Championships in 1990, qualifying him for the European Championships held in Burghley, England.